All India Radio launched a multimedia website and a mobile application of its Baluchi services today (16.09.2016). Chairman of Prasar Bharti Dr A Surya Prakash launched the website and the Mobile app at the AIR Headquarters in New Delhi. The website and app of Baluchi service is launched as part of the modernization efforts of ESD and AIR. He said, the initiative is part of India's efforts to reach out to the neighborhood for better people-to-people contact. The initiative aimed at making the contents and programmes of Baluchi language available at multimedia platforms for easy access of listeners and create a global audience. 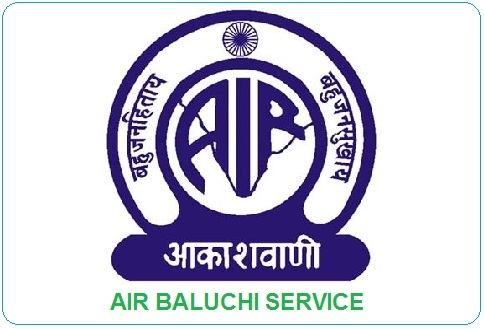 External Services Division of AIR broadcast one hour programme in Baluchi language every day which includes news folklore, music and news analysis. AIR broadcasts about 600 hours of radio programmes per week in 15 foreign and 12 Indian languages through External Services Division, ESD reaching out to 150 countries. ESD has a target of launching web based live streaming and apps for all 27 languages by 31st March next year. He said, as the world's largest democracy, AIR has the responsibility to disseminate news and information across the world which is factual and correct.